Now you can navigate the treacherous terrain of the urban landscape in style. 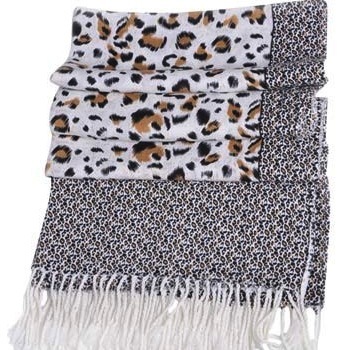 This Leopard print Glam Urban Jungle scarf is the perfect fall/winter accessory, and captures the animal print trend in an expensive way. 50% Italian linen and 50% viscose.